The WWE Presents Smackdown and ECW TV will make it's way to Wachovia Arena in Wilkes-Barre this January, and there will be a presale for tickets on Friday morning. You can access the presale here; don't forget to enter the password SMACK. 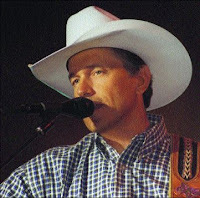 Country legend George Strait will play just a few shows in 2008 as he promotes not one, but two albums he released this year. Live at Texas Stadium and 22 More Hits both came out in the last year, the same year he picked up Country Music Awards for Album of the Year - It Just Comes Natural and Song of the Year - Give it Away. 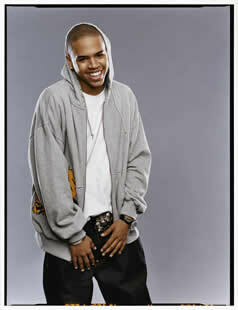 Presale tickets for his show at the Arena at Gwinnett Center in Atlanta will be available on Friday morning. You can access the presales here, but you can only get early tickets if you're a member of the George Strait Fan Club. If you're already a member just enter your unique fan club password when prompted. If you'd like to learn more about it check out Strait's official web site. 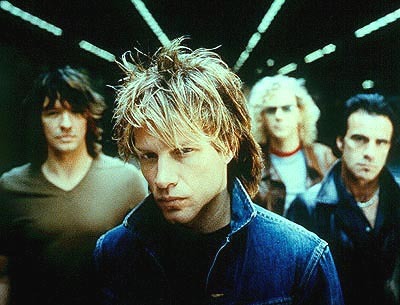 Bon Jovi is going on a massive tour to promote their latest album, Lost Highway, and in doing so will stop by United Center in Chicago. While most tickets for this tour have already gone on sale, there will be a free presale on Friday morning for the upcoming Chicago show. Get your presale tickets when you click here and enter the password WILDFLOWER. Chris Brown will make his way to the Theatre at Honda Center in Anaheim with Bow Wow, Sean King, and also featuring Soulja Boy, Shop Boyz, and Lil Mama. Presale tickets to see the Kiss Kiss singer will be available on Friday morning, and you can get them right here when you enter the password KISSKISS. Another round of presale tickets will be available on Friday morning for tickets to see Ryan Adams as he performs up and down the west coast. This time it will be for the shows at Arlington Theatre in Santa Barbara and Paramount Theatre in Seattle. You can access both of the presales here. The password for both is SPACEWOLF. Go Diego Go Live! 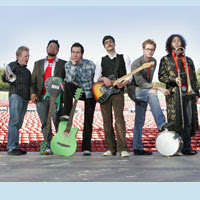 The Great Jaguar Rescue is coming to Radio City Music Hall for a dozen shows at the end of March. Presale tickets for this children's show will become available on Friday morning, and you can get them right here. The password for all shows is HEGROWL. Country star Reba McEntire and American Idol alum Kelly Clarkson are teaming up for the 2 Worlds 2 Voices Tour 2008 which will get underway early next year. Only a few dates have been announced thus far, but there are sure to be more in the near future, so check back for more presale updates. There will be a presale on Thursday morning for 2 of the shows announced, and you can access both of them from right here. The password for both the show at EJ Nutter Center and at Freedom Hall is VOICES. As we mentioned yesterday, Carrie Underwood will join Keith Urban for a few shows in early 2008 as he tours North America. There will be another presale on Thursday morning for a couple of these shows, and you can access them from this page. This presale will offer fans the chance to purchase tickets and fan club memberships simultaneously in a bundle. If you're going to buy a membership to access the presale anyway, this is going to be your best bet, as it allows you to check out where your seats would be before you commit to the additional cost of membership. There will be 2 more presales on Thursday morning to see Ryan Adams perform as he travels along the west coast. Both of these shows will be in Northern California, at Marin Veterans ' Memorial Auditorium at Marin Center in San Rafael and Zellerbach Hall in Berkeley. Get your presale tickets right here when you use the password SPACEWOLF. The Foo Fighters are touring behind their latest release, Echoes, Silence, Patience, and Grace, and in doing so will make a stop at Madison Square Garden in NYC and several other large venues along the way. Presale tickets for the show at MSG will be available on Thursday morning, and you can get them by clicking right here and entering the password PATIENCE. For shows at BankAtlantic Center, Amway Arena, BJCC Arena, Pensacola Civic Center, Barnhill Arena, Ford Center, Allstate Arena, and Target Center, you need only click here and enter the same password to get your hands on some Foo Fighters presale tickets on Thursday morning. Red Sox fans will have the opportunity to attend Christmas at Fenway Park, and will also be able to purchase Sox Pax as well as single game tickets on December 8th. To have a chance at this opportunity fans must first register online, which is possible starting today and going through Monday. Winners will be selected at random, so it's not too late. You can read more about Christmas at Fenway and register right here. That's right, there will be a few more presales for tickets to see Michael Buble as he crosses the continent behind 2007's Call Me Irresponsible, and this time, they're free! You can access all of the presales from this page, and all you need to do is click on the show you'd like tickets for and enter the appropriate pass code. For the show at Ford Center in Oklahoma City the password is CALL. For the one at Scottrade Center in St. Louis the code is DREAM. Finally, for the show at Alltel Arena in North Little Rock the password is EVERYTHING. 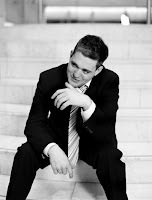 UPDATE: There will also be a presale on Thursday morning for the show at Fedex Forum, the password is MBUBLE. 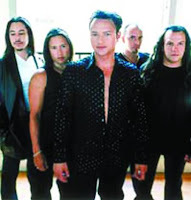 Heavy metal band Queensryche just released another album, Take Cover, on November 13th, and they'll be backing it with a North American tour that is set to begin in early 2008. Tickets for most of these shows are already on sale, but there will be a presale for tickets to see the band when they perform at the House of Blues Chicago at the beginning of February. You can get yours on Wednesday morning, just click here and be sure to enter the password SOUND. Country superstars Keith Urban and Carrie Underwood will be performing together in a handful of shows on Urban's upcoming tour. The duo will appear together at Mohegan Sun in Uncasville, Roanoke Civic Center, Qwest Center Omaha, and HP Pavilion in San Jose. Presale tickets for these shows will be available on Wednesday morning, but only to official Monkeyville (Keith Urban's fan club) and Carrie Underwood Fan Club members. To access the presales just click here, and when prompted enter your unique fan club password. 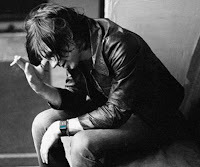 Singer/songwriter Ryan Adams will be playing just a few shows along the west coast after finishing up a national tour promoting Easy Tiger, his latest record released in mid 2007. Presale tickets for a few of these shows will be available on Wednesday morning, and you can access them from this page. The presale password for all of these shows is SPACEWOLF. Be sure to check back tomorrow for more Ryan Adams presales occurring on Thursday morning. 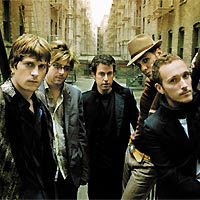 Matchbox Twenty is back on the road after a four-year hiatus as they cross North America backing their latest album, Exile on Mainstream. Tickets for most of the shows are already on sale, but you can get presale tickets to a few of them on Wednesday morning. The presale will be available only to official fan club members, or to those who'd like to purchase a membership along with tickets in a bundle. If you're already a member, just click on the links below and enter your unique password when prompted. If you're considering purchasing a membership to access the presale, be sure to buy it in a bundle with your tickets. Using this method you'll be able to check out the location of your seats before you commit to purchasing your membership. To access the presale for the show at Xcel Energy Center in Saint Paul click here. For the show at Quicken Loans Arena in Cleveland just go here. Finally, for the show at Air Canada Centre in Toronto you can click right here. Alternative band Velvet Revolver has been touring the US and Canada for the last few months to promote their latest album, Libertad. Now they'll be visiting the Big Apple for yet another show, this time at Hammerstein Ballroom. Presale tickets will be available on Wednesday morning, all you have to do is click here and enter the password REVOLVER. Rapper Snoop Dogg is keeping mighty busy these days. Besides gearing up to release his new album, The Big Squeeze, at the end of April and performing 2 shows on either side of the country, Snoop is also getting ready for the premiere of his E! reality television show, Father Hood, which takes fans into his everyday life as a dad. However, we're here to let you know about live performances, so let's get back to the 2 shows that Snoop will be playing in the next few weeks. The first is a tribute to Jam Master Jay at Hammerstein Ballroom later this week. Tickets are already on sale, if you'd like to get some just click here. The other performance will be at the House of Blues Sunset Strip in Hollywood, and presale tickets go on sale on Tuesday morning. You can get yours right here using the password SOUND. The newly reunited R&B group Salt n' Pepa have announced plans for a second show, this time at the House of Blues Las Vegas at the end of December. Presale tickets for the show will be available on Tuesday morning, all you have to do is click here and enter the Live Nation password, SOUND. 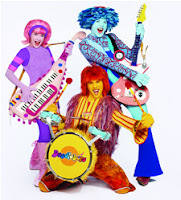 The Doodlebops are one of the latest acts to join the wave of children's live entertainment, and they'll be continuing to tour at least through mid April. Presale tickets for some of their shows, including those in Indianapolis, Grand Rapids, and Kansas City, will go on sale on Tuesday morning. You can see all of the available presale dates and venues from this page (and of course you can access them through the same link as well). The password for all of the shows will be FUN. Canadian crooner Michael Buble has announced a few more US tour dates in March, and along with that will come a few more presales for Tuesday morning. The soft rock singer is touring the US behind his latest album, Call Me Irresponsible which features the hit single Everything. As for the presale, you can access it right here. It will be open to official members of the Bungalow B fan club, or to those who want to purchase tickets and membership simultaneously. If you're planning to go ahead and join the club to get your hands on early tickets, we recommend you go with the bundle; this way you can see what seats you'll get before you actually pay for your membership. For updated Red Wings Presale Passwords, please go to PresaleToday. 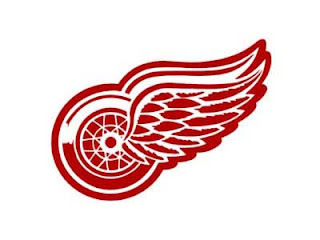 After a record 16 years of making it to the Stanley Cup playoffs, the Detroit Red Wings are hopefully prepared for the 2007-08 hockey season, which is now upon us. Tickets are currently on sale for all games through the end of 2007. However, there will be a presale for tickets to 2008 games at Joe Louis Arena starting Monday morning. You can access all of the presales from this page; the password for all games is 08DRWJA. Good luck! 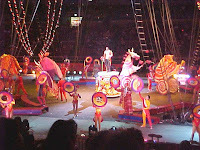 That's right, there will be another presale for tickets to see the Ringling Bros. and Barnum & Bailey Circus, this time when they come to RBC Center in Raleigh. 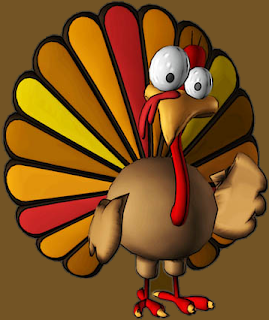 You can get your tickets on Monday morning when you click here and enter the password FUN. There will be another presale on Friday morning for tickets to see Martina McBride on her Waking Up Laughing tour. The presale will be for the show at Pengrowth Saddledome in Calgary, and you can access it right here. The password is LAUGHING07. Good luck! Switchfoot and Reliant K will be playing just a handful of shows along the west coast in upcoming months, as Switchfoot continues to promote their 2006 album, Oh! Gravity. There will be a presale on Thursday morning for their show at Comcast Arena at Everett Events Center, and you can access it right here. The password for this presale is GRAVITY. Eddie Money is most well known for classic 1970's and 80's hits like "Take Me Home Tonight" and "Two Tickets to Paradise." Now the pop icon is back with a new Grammy nominated album, Wanna Go Back, which features new recordings of 12 classic songs. To promote the new album, Eddie Money will be taking to the road for just a few shows in the upcoming months. He'll perform at Ferguson Center for the Arts Concert Hall in Newport News at the beginning of February, and there will be a presale for tickets to this show on Thursday morning. Click here to access the presale, and be sure to enter the password NOVEMBER. That's right, there will be a few more presales on Thursday morning for tickets to see country star Martina McBride perform in Canada on her Waking Up Laughing tour. You can access the presale for the show at John Labatt Centre in Ontario right here. For the show at Copps Coliseum in Ontario click here. Finally, to access the presale for the show at Scotiabank Place just go here. The password for all of these presales is going to be LAUGHING07. The password is TRIBE and tickets are going on sale now through Ticketmaster. There are still some available. Check the market for Indians tickets here. While there are fewer presales in the US this week due to Thanksgiving, the Canadians are keeping them going strong, this time with a Martina McBride show at Rexall Place in Edmonton. You can access this presale right here on Wednesday morning; the password is MARTINA. Punk band NoFX released a live album, They've Actually Gotten Worse Live!, in 2007, and is now going on tour to promote that and their 2006 release, Wolves in Wolves' Clothing. There will be a presale on Wednesday morning for their show at the House of Blues in Orlando, and you can access it here. The password for this show is SOUND. Be sure to check back in a few days as more presales and passwords become available for NoFX. The Foo Fighters are heading to Canada to promote their latest album, Echoes, Silence, Patience and Grace. There will be several presales for shows up north on Wednesday morning, and you can access all of them from this page. The password for most shows is SILENCE, but for the shows at Credit Union Centre in Saskatoon and Rexall Place in Edmonton the password is SOUND. Download the Foo Fighters latest album, Echoes, Silence, Patience and Grace now by clicking the iTunes button. It's been a while since we've heard from alternative band Reel Big Fish, but they're still going strong with a new album, Monkeys for Nothin' and the Chimps for Free, and an upcoming Australian tour with Less Than Jake this December. When the band returns to the States they're scheduled to play 2 shows in the LA area, and there will be presales for both on Tuesday morning. Click here to access the presales for the shows at the House of Blues Anaheim and the House of Blues Sunset Strip in Hollywood. The Live Nation presale code for both shows is SOUND. Country singer Martina McBride will head out on the Waking Up Laughing tour in just a few weeks, and there will be a few more presales on Tuesday morning. The first is a free presale, and it's for the show at Sovereign Center in Reading. You can access it here, the password is LAUGH. There will be 2 other presales for Canadian shows, and they are both American Express presales. This means that to access the presale you'll need to enter the 800 number on the back of the card as the password, and then you'll be required to pay with your Amex. Click here to access the presale for the show at Pengrowth Saddledome in Calgary, or go here for the show at Credit Union Centre in Saskatoon. 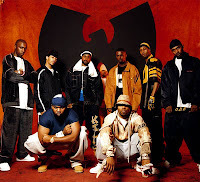 The Wu-Tang Clan is heading out on tour this winter, hitting just a handful of spots along the east and west coast. They'll be making their way to the House of Blues in Las Vegas at the beginning of January, and there will be a Live Nation presale on Tuesday morning. You can access the presale right here, the password is SOUND. Celine Dion is offering Hot Seat Packages for her upcoming Taking Chances Tour, and these will be available on Monday morning. No password is required, but you can learn more about what the different packages include right here. To get your hands on a Hot Seat Package just go to this page and click on the show you'd like tickets for. Good luck! The Ford Up Close and Personal Tour featuring Chris Brown and Bow Wow is growing nearer, and presales are still happening for recently announced tour dates. The latest is for the show at US Airways Center in Phoenix in the beginning of January. You can access that presale right here on Monday morning when you use the password CENTER.